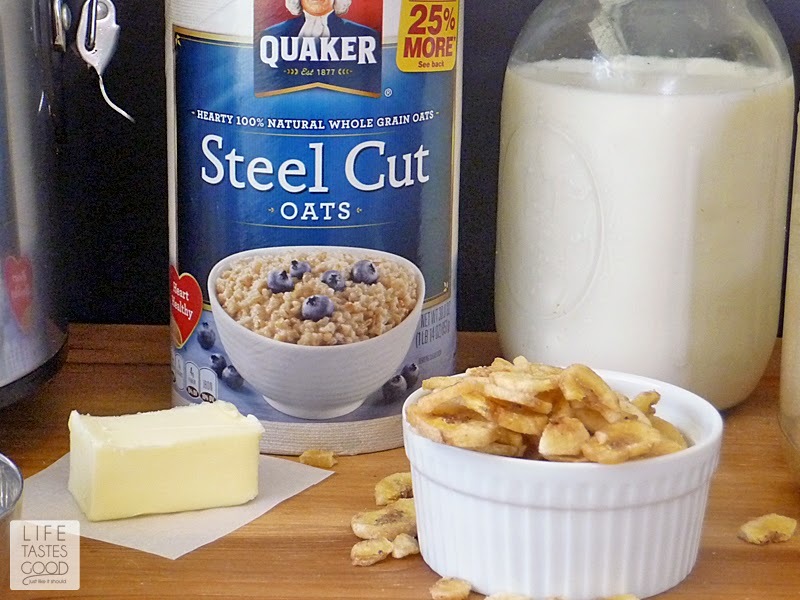 Overnight Steel Cut Oatmeal is a delicious way to the start the day. 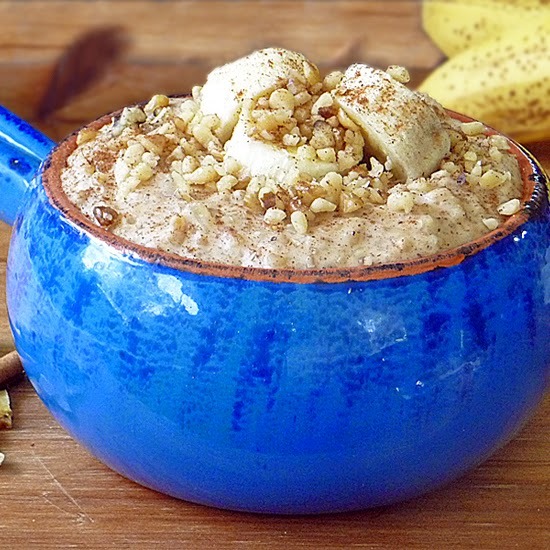 The bananas, cinnamon, and walnuts combined with the Steel Cut Oats give this oatmeal lots of flavor, and as an added bonus, you wake up to the warm comforting aroma of banana bread as you sit down to enjoy this hearty, better-for-you breakfast! Happy New Year! Are you ready to make a fresh start in 2015? I know I am. After enjoying the holiday season a little too much, it's time for me to make some changes! The new year always inspires me, but I don't like to overwhelm myself. 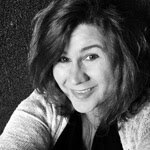 When making lifestyle changes, I like to do them slowly so I can stick with it. I also like to do things in a logical order, so when changing my diet, I always start with the first meal of the day. Makes sense, right? 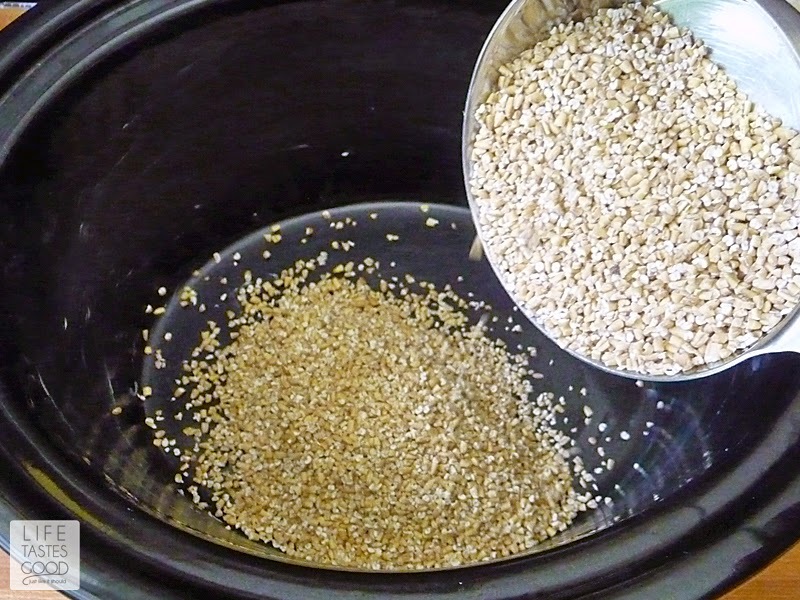 I recently discovered Steel Cut Oats, and I love them! Not only do they taste great but they hold up to low and slow cooking, so I can start them in the evening and wake up to a hot and ready breakfast! It doesn't get much better than that on a busy morning! Don has always been a fan of oatmeal. He is a retired fire fighter, but when he was on-the-job he would eat oatmeal every shift - without fail! He would make a huge bowl and slice some fruit into it and enjoy that after his morning chores. Me? Not so much. I've never really been a huge fan until I discovered the steel cut oats. They have a deeper flavor and a better texture. 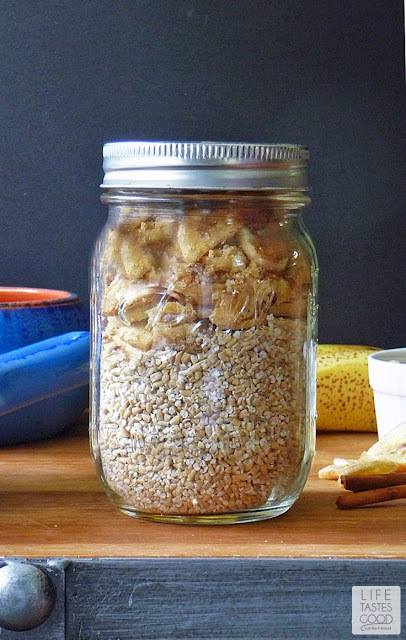 I especially love this Banana Bread version! If you are not familiar with Steel Cut Oats, look for it in Target on the hot cereal aisle in that familiar Quaker Oat canister. 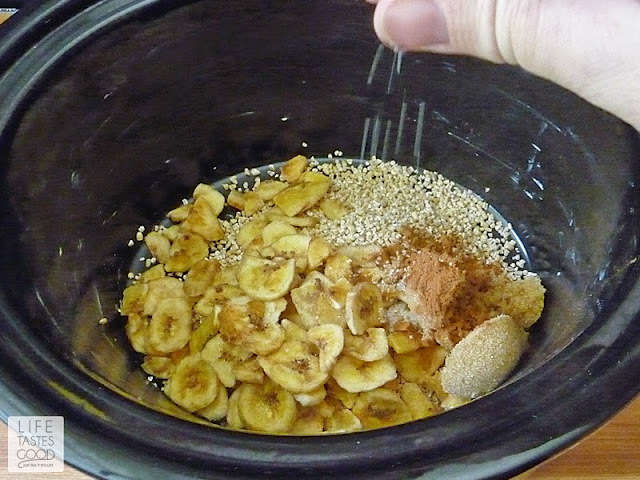 For my Banana Bread Oatmeal you will need Steel Cut Oats, banana chips, cinnamon, brown sugar, milk, and some finely chopped walnuts. It's also helpful to have some butter for greasing the slow cooker. 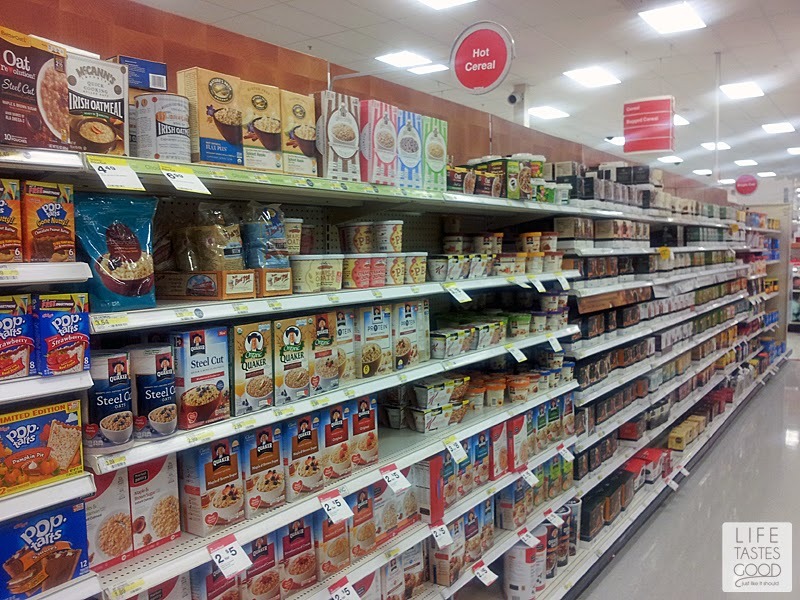 All of these ingredients are available at Target, so shopping is super convenient. Make sure your slow cooker is plugged in - I've been known to get everything in the slow cooker and turn it on, only to realize a few hours later that I NEVER plugged it in! Even I wonder about me sometimes haha. Once you are all plugged in, go ahead and turn the slow cooker to low and cook for 3 hours. I set the timer, because I will forget and just head on to bed. When the timer goes off, give it a stir to make sure everything is combined nicely and turn the slow cooker to 'warm'. That's it! 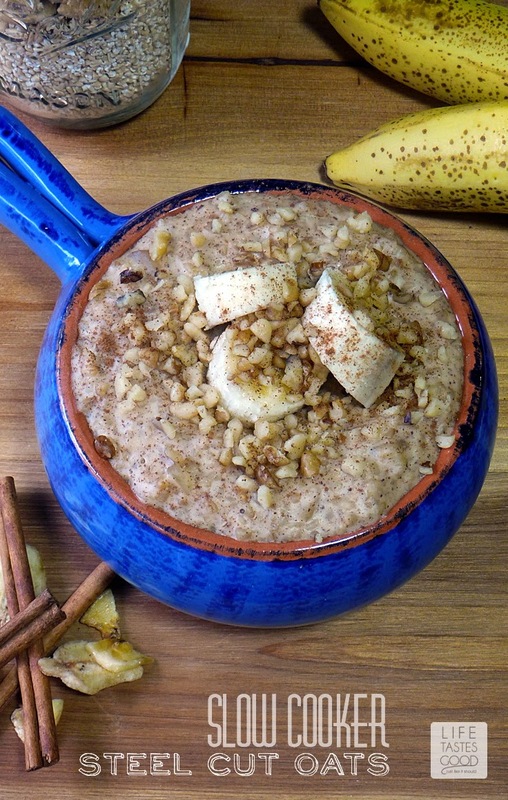 You can go to bed and have sweet dreams of a delicious hot and ready Banana Bread Oatmeal waiting for you in the morning! 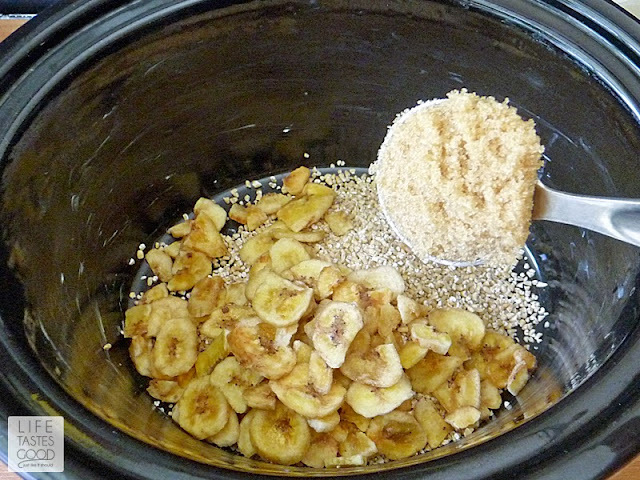 Grease slow cooker or use a slow cooker liner. 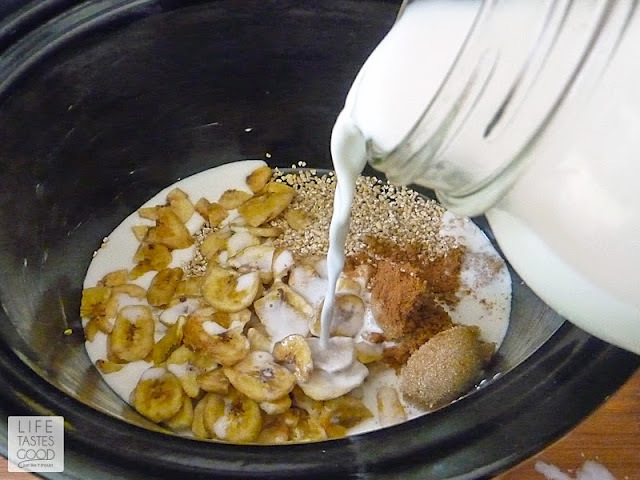 Pour 1 cup Quaker Steel Cut Oats into slow cooker and add 1 cup banana chips, 2 tablespoons brown sugar, 1 teaspoon cinnamon, 1/2 teaspoon kosher salt, and 3 cups whole milk. Stir to combine. 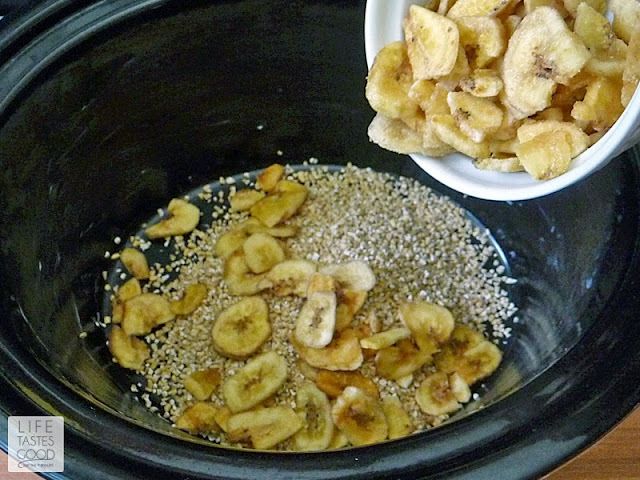 Put the lid on your slow cooker and cook on low for 3 hours. I always make sure to set my timer, so I don't forget about it! 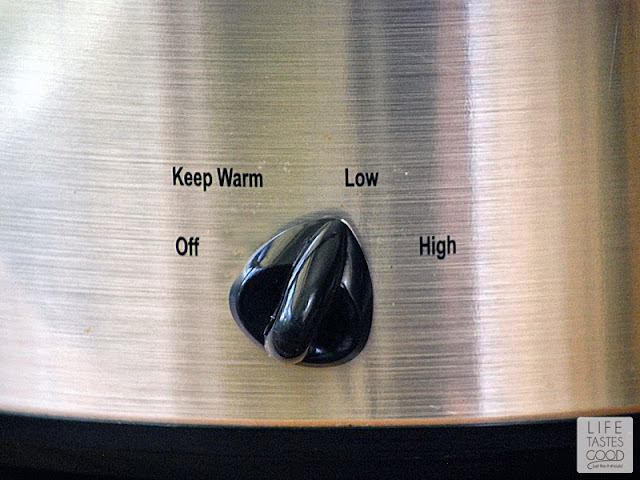 Stir and turn the temp down to warm. Keep the lid on the slow cooker and allow to cook overnight or about 6-8 hours. 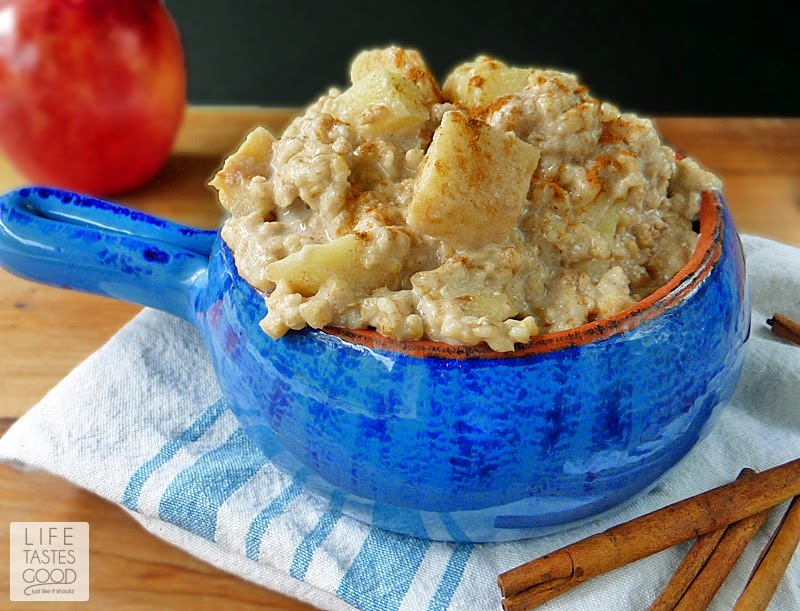 In the morning, give the oatmeal a good stir and taste it to make sure it is to your liking. Adjust the flavor as needed. If it is too dry, add warm milk until it is the consistency you prefer. 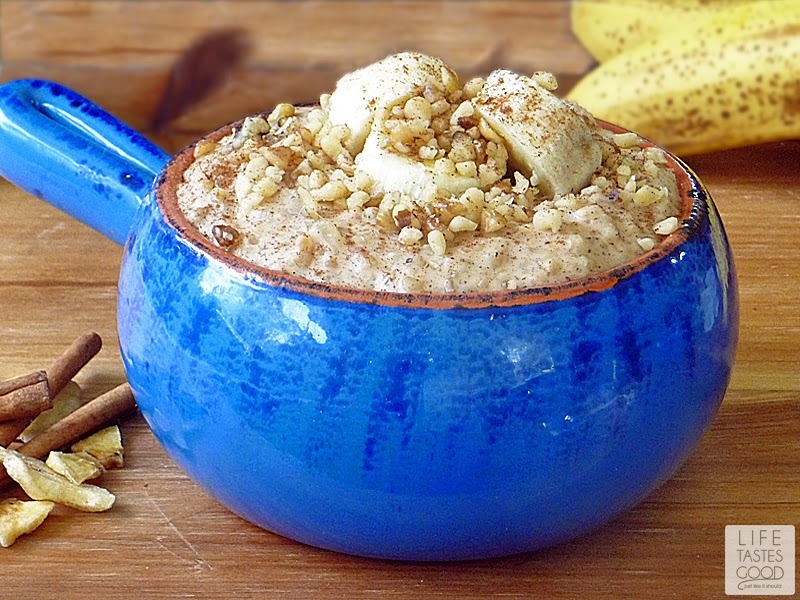 Serve with chopped walnuts, banana slices, and a sprinkling of cinnamon. Enjoy! Would regular banana slices work for this? I don't have any banana chips but I do have bananas. If so I can't wait to try this! It looks so easy and delicious!